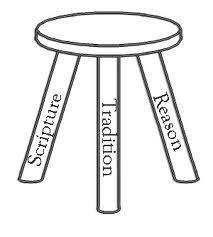 In keeping with the mind of the Early Church Anglicans are not Fundamentalists and do not take the Bible literally but rather allegorically and as metaphor relating the ancient story of a People and how it perceived its interactions with the Sacred. We strongly affirm that the Bible was inspired by God and written by humans and that the Scripture must be read in the context of the time in which it was written which may or may not inform us of its meaning at the present time. 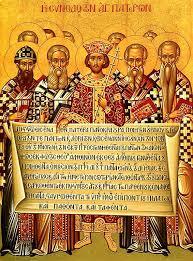 Anglicans affirm the Apostles' and Nicene Creeds as attempts to explain the Mystery of the Trinity and of the Christian Faith. Anglicans use The Book of Common Prayer as their book of worship and personal devotion. The Prayer Book also, through its Liturgies and Rites, sets forth what we believe. Each national Church of the Anglican Communion has revised its Prayer Book in recent years. However all of them conform theologically to The Book of Common Prayer of 1662 of the Church of England. 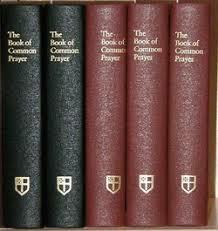 To see The Book of Common Prayer of The Episcopal Church, see our tab for it. The Prayer Book is considered part of the Sacred Tradition of the Church. The Prayer Book includes "A Catechism of the Christian Faith' which sets forth the doctrinal tenets of the Church.